Your browser does not support this plugin. DOES CHIROPRACTIC “CURE” EVERY HEALTH PROBLEM? 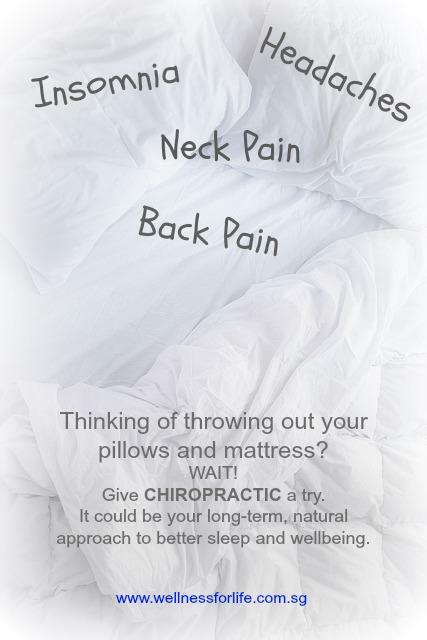 Chiropractic does not cure any health problems. What it does is to enhance the healing abilities of the body by improving the communication of the brain and nerves (nervous system) with the rest of the body. The brain is the master control of the body and the nerves transmit impulses from the brain (and back to the brain) to work the body (move, talk, digest, feel, think, fight infection/inflammation etc.). When the nervous system is transmitting impulses efficiently throughout the body without interference, it allows the body to also function at its optimal best. Therefore, a healthier nervous system equals potentially healthier body with improved immunity, digestion, organ-fucntion, physical and mental power etc. This translates to lesser health problems. 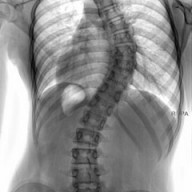 How exactly does Chiropractic help with health problems related to the spine & nervous system? Do you suffer from frequent infection of all sorts? Instead of relying on medication to fix the symptoms, why not build your immunity against (prevent) the problem? > and a 200% stronger immune system than ‘healthy’ non-cancer group (also not under chiropractic care). ~ research done by Ronald Pero, PhD, at New York University. People under Chiropractic Care also take significantly less medication. That with better nutrition, exercise and mental well-being play a major role in increasing immunity. Are you being pro-active in building a stronger immune system and win the war against health problems? Do you rely on painkillers to combat pain? Painkillers do come in useful at critical moments but over-reliance and abuse can harm you. 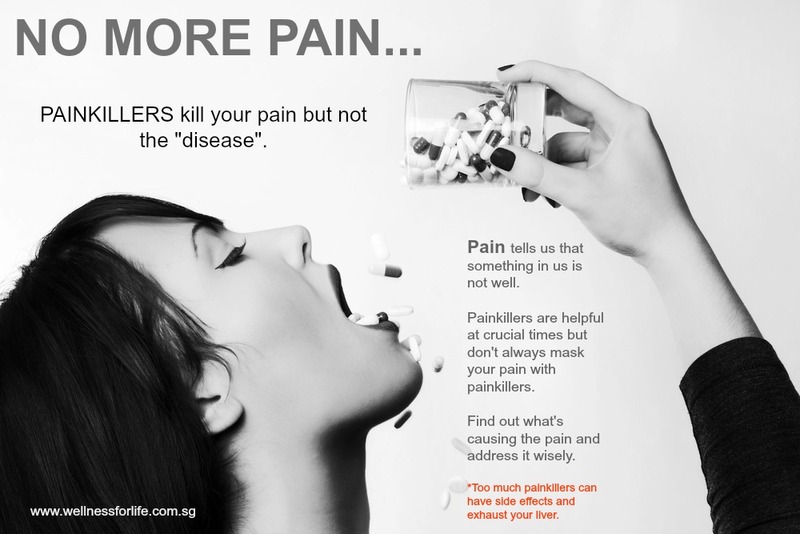 Most painkillers only relieve pain. They don’t address the cause of the pain. Find out what’s the cause of the pain and administer the appropriate solution to get better. Besides medical solutions, you may also like to use natural remedies/methods for your pain. Holistic foods/medicine, exercise, natural physical therapies, rest, be with nature and try Chiropractic. Fever is not a disease, it is a symptom. It shows that the immune system is fighting the disease. 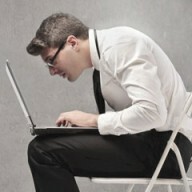 It is our body’s AUTO Response to fight and kill viruses/bacteria that are infecting our body. It is part of Innate Intelligence. When our body gets infected by foreign bodies, the brain via the nerves will instruct the body to raise its temperature, in effort to use HEAT to kill the invaders or at least make the environment unfavorable for the invaders to multiply. 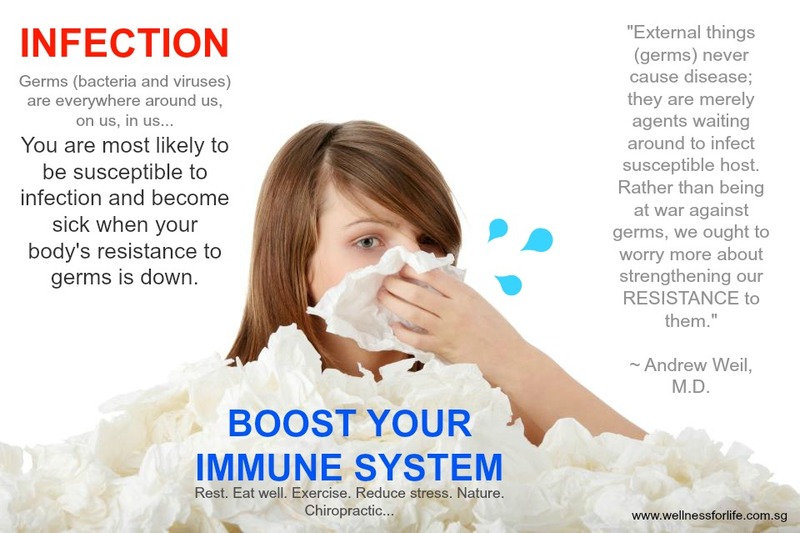 It is a very important natural process in building our immune system. So, when you have fever of 40 degree Celsius (104F) and below, don’t panic and rush to the hospital or pop anti-fever pills immediately.
. If it’s due to life-threatening infection, seek a Doctor! Yes, fever can be helpful. Your body will benefit with boosted immunity and lesser medication. Let Innate Intelligence do its job! 1) When we have a small cut on our finger, it’ll heal by itself eventually. New cells will be produced to cover up the cut. We don’t need to physically sew/glue and seal up the small cut. White blood cells will be sent to the cut area to fight any invading bacteria etc. to prevent infection. All that will happen without conscious command from us. We don’t have to direct those functions with conscious effort. Innate Intelligence is made possible via healthy communication of the brain and nerves with the rest of the body. Chiropractic can play a major role in keeping that communication healthy. Adopt a holistic approach to preventing and relieving health problems before taking the chemical and invasive route. Spinal misalignment (Vertebral Subluxation) is a hidden epidemic very much like other common “silent killers”, cancer, heart diseases, diabetes, obesity etc. There are people who feel completely well but suddenly die of heart attacks; or are diagnosed with cancer or diabetes; or crippled by sudden back spasm and pain. These people never felt or displayed any symptoms at the early stages. You can’t feel the cancer cells developing at the early stage; or your arteries clogging up before it affects your heart; or fat cells multiplying before you noticed your drastic weight gain; or the flu or Ebola virus growing in your system during the incubation period. Likewise you don’t feel spinal misalignments if they are not affecting the nerves to trigger pain or if the misalignments have not distorted your body structure. But these are potential health risks (diseases and injuries) brewing silently. 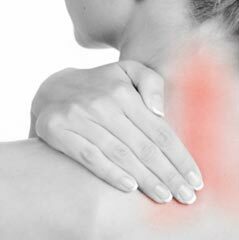 Don’t wait for pain to surface because the problem might already be festering before you feel any pain or symptom. Your tooth and spinal bone/tissue cannot feel pain (no sensation). It’s the nerves around them that “feel”. 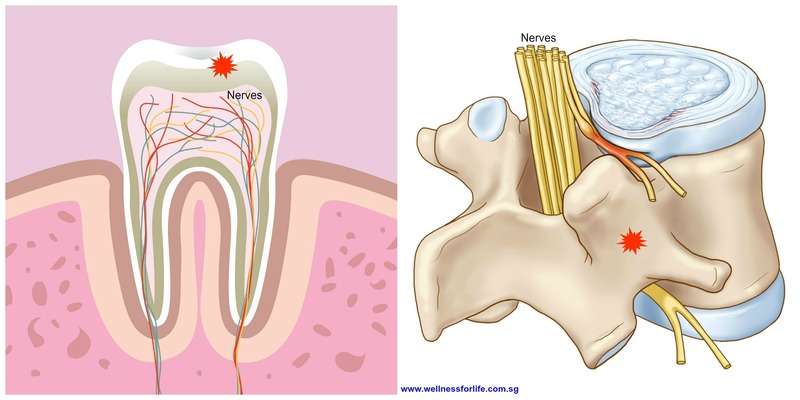 When there’s decay and degeneration on the tooth or spinal bone/disc, you will not feel PAIN until the problem deteriorates and starts affecting the nerves around them. By the time you feel pain, the problem has already progressed. Don’t wait for pain and symptoms to be the indicator of your health status. Like getting our teeth checked and maintained regularly, it is as important that we get our spine checked and maintained regularly for degeneration and misalignments. Take proactive and preventive actions like regular health monitoring, exercising, eating well, going for Chiropractic Care etc. to heal well (improve health), stay well (maintain health) and stop “silent killers”. Enter the sum of 19 + 18	below to prove you are a human.